Just off the National Mall in Washington, DC, lies a little-known war memorial, one with an even more obscure Girl Scout connection. Resembling a Greek temple, the District of Columbia World War Memorial honors the 499 DC residents who died in World War I. With its open-air design and widely spaced Doric columns, the memorial could easily be used as a bandstand. In fact, it was located at the site of a former bandstand, and legendary conductor John Phillip Sousa led the Marine Band’s performance for the dedication. 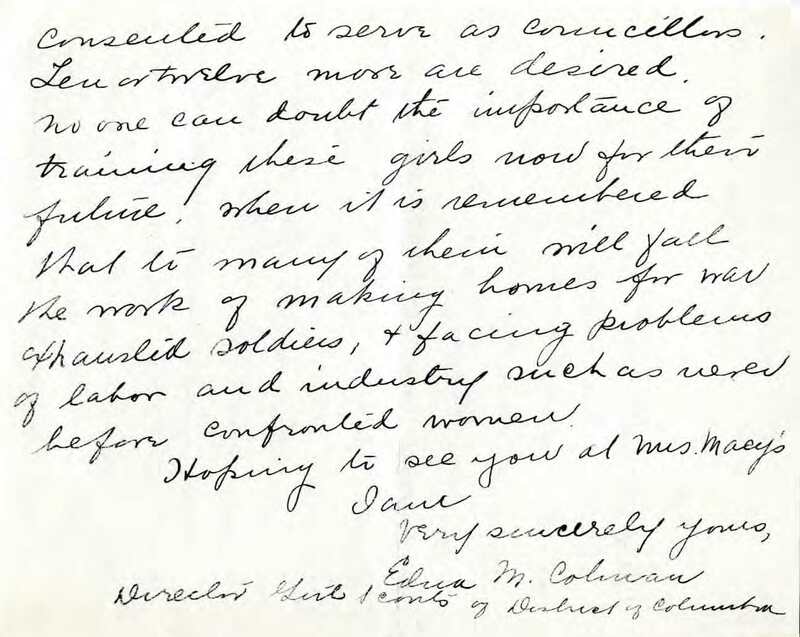 While some Girl Scouts likely took part in the dedication of the memorial, there is one strong link between it and the young women’s leadership group. The award-winning memorial was designed by Frederick H. Brooke, whose wife, Henrietta “Texas” Bates Brooke, helped found the first Girl Scout council in Washington, DC, in 1917. Mr. Brooke seems to have been a bit camera-shy. This is the only photograph of him that I have found. It was taken in 1928 at the groundbreaking for the current British Embassy in Washington, another of his projects. Could that be his wife next to him? If only she had worn her Girl Scout uniform to the embassy event! The memorial is located on Independence Avenue NW, between 17th and 23rd Streets. It underwent extensive restoration in 2011. I received a stunning comment on my most recent blog post. Don’t get me wrong, I love hearing from readers. But this particular comment made me scream, swoon, and burst into tears. 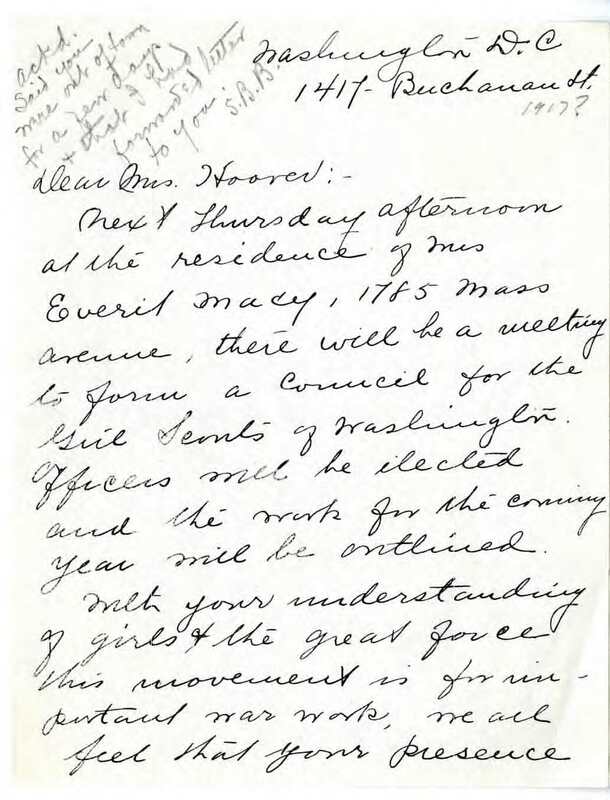 Last week I wrote about the origins of the District of Columbia Girl Scout council. 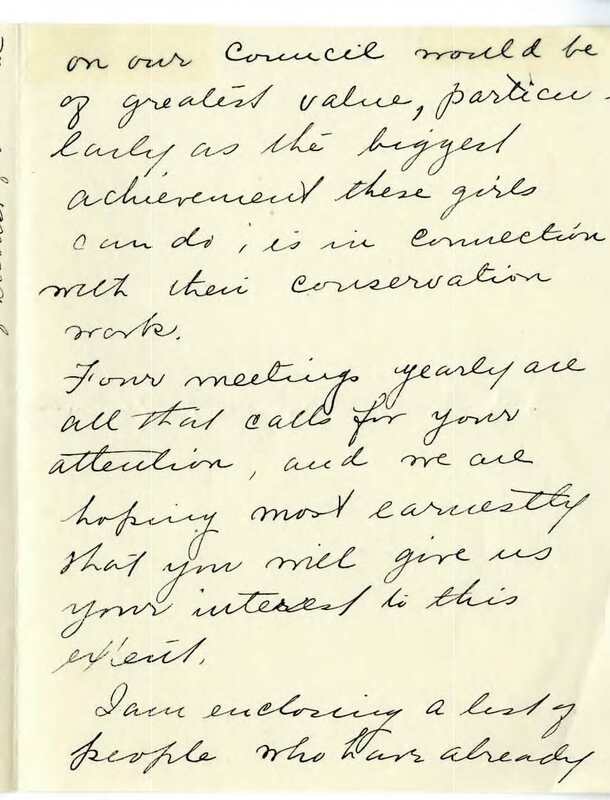 I naturally mentioned the council’s organizer and first president, Henrietta Bates Brooke. 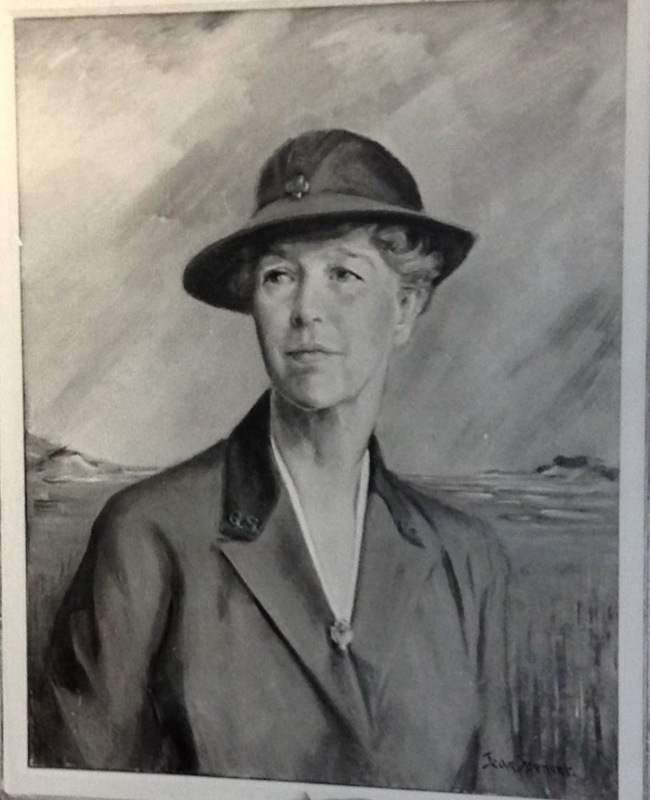 Mrs. Brooke, known as “Texas” to her friends, is a major figure in the history of all Girl Scouting. 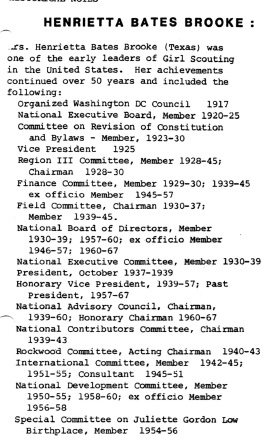 She was the national president in the 1930s and instrumental in acquiring Rockwood National Center. This mini resume appeared in the April 1983 Rockwood Rally newsletter. So who is this mysterious Ms. Brooke-Willbanks? One of my oldest Girl Scout friends!! We were in the same Cadette/Senior troop in Paducah, Kentucky, in the early 1980s. Elizabeth and I at the legendary Centennial party during the 2011 convention. Elizabeth became a professional Girl Scout, working in councils in Kentucky and Massachusetts, and is still in the non-profit world now. We both attended the 2011 National Council session in Houston, where we had brunch with our own leaders. They just happened to be in Houston, saw all the Girl Scout signs, and tracked us down.